WWM Garage door opener service all type and manufactures of garage openers in the market, we sell new openers and repair old ones. Today’s market of new garage openers is overwhelming, but few manufactures stand out of the rest. Genie, Craftsman & Chamberlain who mostly aim into the DIY market sell mostly at the local hardware stores, on the other hand Chamberlain professional line called LiftMaster is the company’s garage opener for professional installers. LiftMaster is our number one choice when we need to install a new garage door opener, because it is not aimed to be sold at the local hardware stores the manufacture didn’t had to make the 7/8 feet rail fit a 2 feet box that is why the professional opener rail made out of ONE long cast metal and not 3 or 4 which mean less moving parts makes it more quiet and reliable. There are 4 types of openers in used they differ in the way the motor will pull or push the door arm. 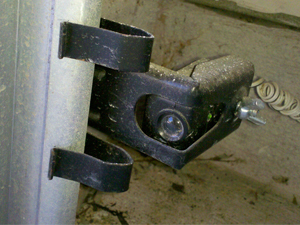 ⇒ Chain drive garage door opener. ⇒ Screw drive garage door opener. ⇒ Belt drive garage door opener. ⇒ Wall mount garage door opener. New outside wireless keypad opener. It is not always necessary to run and buy new garage opener every time the old opener doesn’t work right, actually many of the service calls we have are end up as very simple repair or adjustments to the opener, the most common garage opener repair job will defiantly be the opener sensors problem, ether malfunction sensor or unaligned sensors may be the reason for your visit to our website. We offer troubleshooting, replacement or repair service in case we find this is what causing your garage door act the way it is. 1. You can open the garage door with no problem, but when you try to close it the door start its way then go up again unless you keep pushing the closing button the all time. 2. When you try to close the door there is a two or three clicking noises coming from the garage opener and the door will not move down. 3. When you try to close the door the opener will blink its lights two or three times and the door will not move down. 4. Any combination of the previous options. If your garage opener makes a lot of noises or seems like it really hard to it to pull the door up or maybe you can hear the opener trying to pull the door up but it just won’t go, STOP! Do not try to force the door up with the automatic opener again and again, there may by something wrong with another part of the system such as the springs or the cables and by trying to force the garage door up utilize only the automatic opener you may cause it to break. 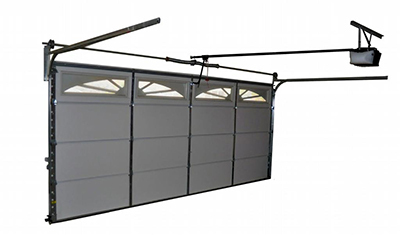 The automatic garage opener is not supposed to lift the weight of the door just by itself, without the help of the springs you may damage the opener gear or carriage. Just stop and check the entire system look for a loose cable or a broken spring, then call a professional garage door technician to inspect and repair your system before any further damage occur.